Soil pests are pathogens. Pathogens are living organisms that cause plant disease. Average soil has billions of living organisms in each teaspoonful, including fungi, bacteria, algae, protozoa, nematodes, micro-arthropods, earthworms and insects. This microbiological activity is called the soil food web. Pests develop when the soil food web is unbalanced and lacks biodiversity. Pathogens become a problem in soil lacking adequate balance between organism populations. Pests increase when they find a good food source in the soil but have no natural predators to keep them in check. Healthy soil supports the predators of harmful pests. Soil nutrition is the preventative medicine for pest problems. “Soil-borne pathogens are very difficult to observe with the naked eye,” according to the Washington State University Extension website information about soil pests. Types of harmful pathogenic organisms include species of bacteria, fungi and nematodes. They can be identified with the aid of microscope magnification of 10X or higher. 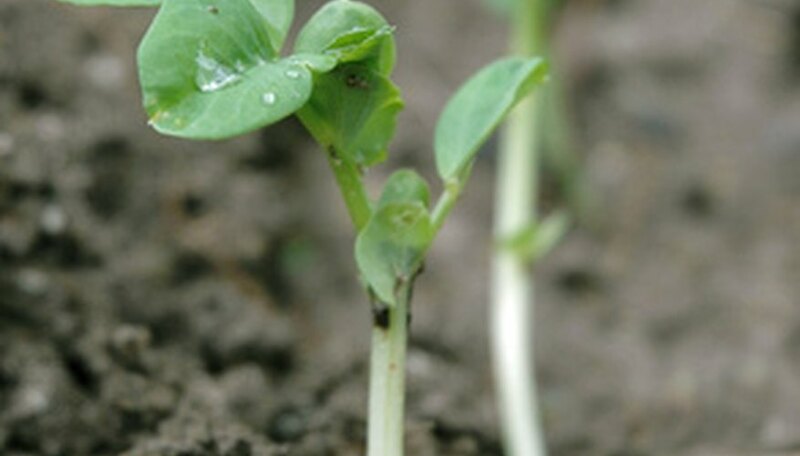 The best indicator of the presence of soil pests is plant disease or lack of soil productivity. Fusarium and verticillium are pest fungi organisms that cause wilt. Excessive tilling and use of synthetic chemical fertilizers destroy both beneficial and harmful fungi in soil, creating conditions for disease. A balanced fungi population helps absorb nutrients from the soil and transport them to plants, creating plant nutrition. Fungi also move through the soil, creating better soil structure to hold plant life. Nematodes are a very small type of worm. Root-knot nematodes are the most damaging nematode species in the home garden, according to the University of Missouri Extension website. Indications of an infestation include knot-shaped tissue abnormalities and wilt. Most nematodes eat fungi and bacteria. A diverse population of types of nematode species is an indication of healthy soil. Solarization is a method that helps destroy unwanted soil pests and bring the soil food web into balance. A thin, transparent plastic sheet is spread on garden soil. In eight to 10 weeks the rising soil temperature increases the population of heat-loving organisms that attack harmful soil pests. Mature compost added to soil also supports the growth of the beneficial microorganisms that ingest harmful organisms.